More than 150 startups and venture capitalists have backed a new manifesto outlining a number of recommendations for the UK’s FinTech industry that include bitcoin-friendly legislation. The ‘Startup Manifesto’, as it is called, was published by the Coalition for a Digital Economy (Coadec) this week, and was authored by Guy Levin, the coalition’s executive director. Notable investment firms backing the proposal include Index Ventures, King and Seedcamp. Coadec is sponsored by Google, Intuit, TechHub and iHorizon. The document urges the British government to enact a number of new laws and adopt several business-friendly policies, ranging from tax cuts to visa reforms, but much of the focus is on the financial technology industry. The manifesto notes that the government has already made adopted a number of policies designed to foster innovation, citing Project Innovate as an example. Other measures that could potentially affect bitcoin in Britain involve a proposed review of anti-money laundering (AML) and know your customer (KYC) rules. The manifesto suggests Britain should discard analogue identity technology and move to a new digital system for documents such as birth certificates, exam and degree certificates, driving licences and other documents. “Moving towards secure online identity assurance will unlock innovation for startups. For example, FinTech companies who are required to conduct Anti-Money laundering (AML) and Know Your Customer (KYC) checks on their users would benefit from using digital identity checks,” the manifesto states. The government is already working with five identity providers to create a new system for identity assurance for government services. Coadec argues digitalisation should be expanded beyond government services, as it would help all businesses, but startups in particular. Last month saw the launch of a new initiative designed to support innovation in the financial sector in the UK. Innovate Finance aims to establish the country as a market leader in the FinTech sector. The high-profile launch was attended by Chancellor George Osbourne who used the opportunity to buy some bitcoin on a Robocoin ATM. 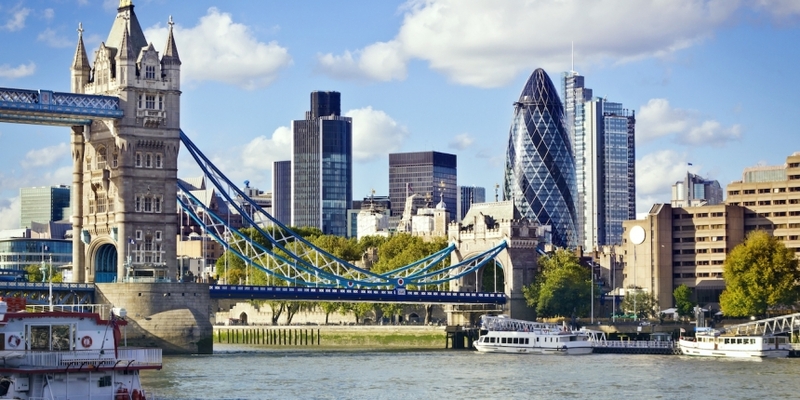 Project Innovate is another example of Britain’s eagerness to foster innovation in FinTech. The initiative was announced by the Financial Conduct Authority last June. The regulator said it wants to ensure innovative developments like bitcoin are supported by Britain’s regulatory environment.